Little remembered today, in 1861 Moses Jacob Ezekiel became the first Jew to attend Virginia Military Institute (VMI). Ezekiel fought for the Confederacy in the Civil War and, when it ended, he moved to Italy, where the Italian king and German emperor, among others, would later award him for his sculptures. In the last decade of the 19th century, the United States began its nostalgic commemoration of the Confederacy’s “Lost Cause,” including acknowledging the Confederate dead buried at Arlington National Cemetery. 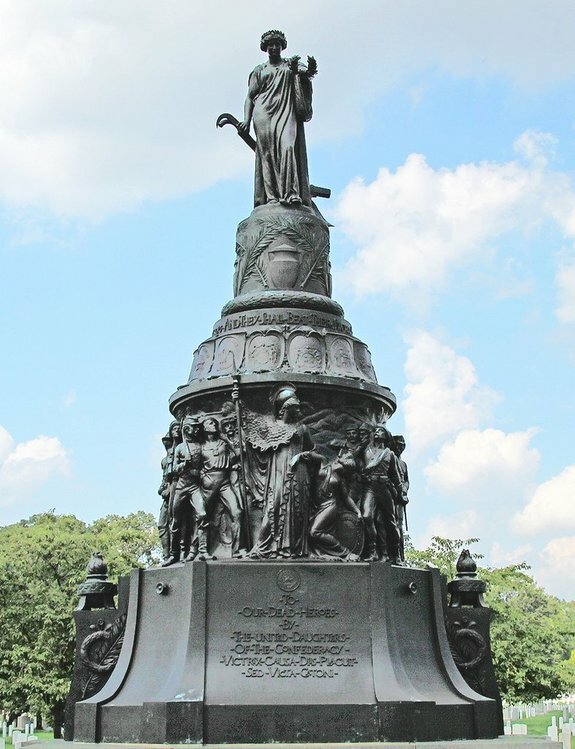 In 1911, the Daughters of the Confederacy chose Ezekiel to create the Confederate Memorial at Arlington. He also sculpted the Thomas Jefferson statue that was a focal point for the fatal Unite the Right rally in Charlottesville, VA. Ezekiel’s life and works highlight the ambiguities in the current debate over removing memorials to controversial persons or causes. About the Speaker: Michael Feldberg, PhD is executive director of the George Washington Institute for Religious Freedom. From 1991 to 2008, he served as executive director and director of research at the American Jewish Historical Society. He has taught American history at the John Jay College of the City University of New York and at UMass Boston. He also directed the Criminal Justice Program at Boston University. The author of several books, Feldberg is most recently a co-editor of Washington’s Rebuke to Bigotry: Reflections on George Washington’s Famous 1790 Letter to the Hebrew Congregation in Newport, RI.